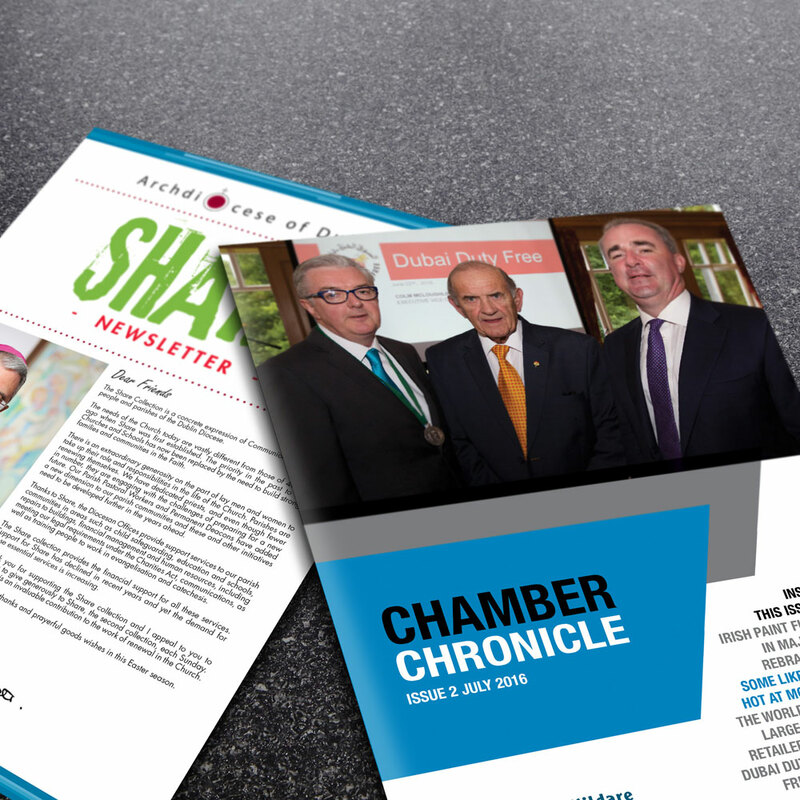 Newsletters are a fantastic way to reach out to current and potential customers with news and events of your business. Use your business newsletter to promote your expertise! How? Fill your newsletter with features on industry updates, useful articles or research findings. Your newsletter can also feature job vacancies and appointments, announcements about your company or product offerings, even sales promotions. Want help? we can provide a research and copywriting service. Just let us know the results you want to achieve, increase company profile, establish your expertise, more sales or referrals. We can develop expert content for you. This unique content can also be featured on your website, which is fantastic for SEO.Call 1890 345 678 or email sales@printing.ie for a copywriting quote.